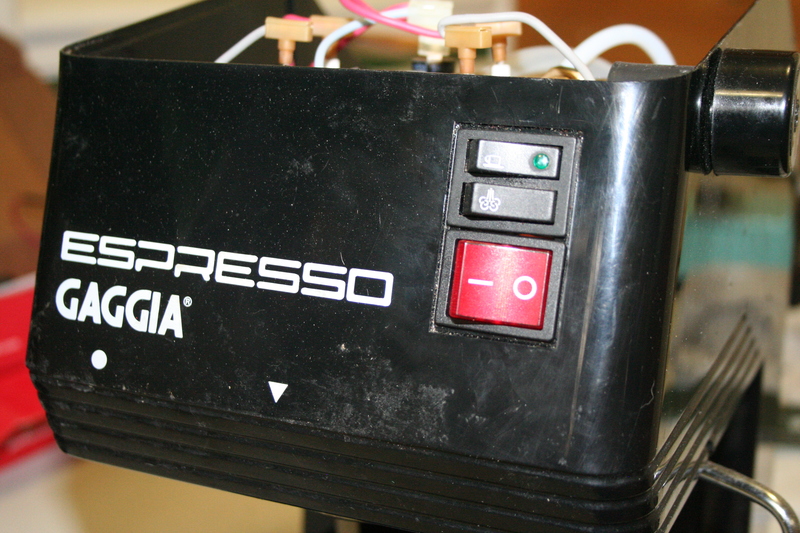 After a thousand or so shots of espresso, my beloved Gaggia espresso machine finally gave up…no lights, no pump, nothing. Depressed, I took it apart to troubleshoot the problem, and was delighted to find it was a relatively simple issue of a malfunctioning power switch! My joy turned back to depression when some online searching yielded no sources for the switch, just lots of references to having to buy all three switches as a group for around $75. Luckily, there’s a better option – go generic. For about $5 (with shipping), I was able to get an equivalent switch from Digikey that, while it doesn’t look the same, functions great and leaves me more money to spend on coffee. There are two options I found at Digikey. 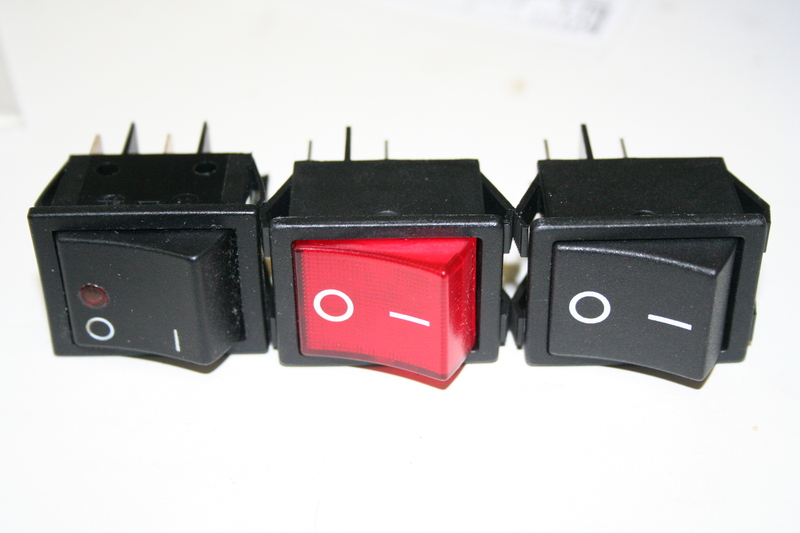 The first, part number EG1531-ND, has a translucent red button that illuminates when on. The second, part number EG1529-ND, is just solid black so blends in with the machine better (though I prefer the safety aspect of having an illuminated power button). While these instructions are specific to this particular Gaggia model, their machines are all so similar that much of this could be leveraged for others. Replacement was really easy. First, unplug the power from the wall! 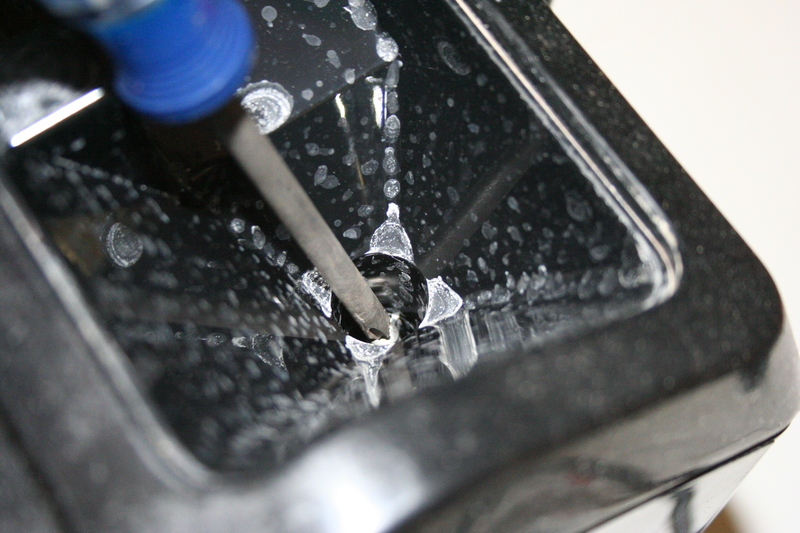 Then, open the water filler lid, and remove the screw that’s in the center of the water opening there. The top then snaps off. Unsnap all three buttons and push them out the front, but leave the wires disconnected for now. Remove one wire at a time from the power button and connect it to the same spot on the new power button. Snap the switches back in, replace the top, and you’re done! If you decide to get an illuminated switch from a different source, you might find that there are different types of illumination available, incandescent and neon. Note the voltage associated with those! Incandescent will probably be 12V and will burn out instantly when plugged into 120V AC. Go for the 125V neon option instead if you want it to last more than a millisecond.